LUCENA CITY, Philippines - Jan. 23, 2018 - PRLog -- The Information Technology-Business Process Association of the Philippines (IBPAP) is fighting to retain the tax perks of the information-technology and business-process management (IT-BPM) sector to battle the challenges the industry is facing. As per a news statement by IBPAP President and CEO Rey Untal, he articulated that the group is in full support for the legislators who are pushing to retain the benefits for the IT-BPO sector for the industry and for them to expand it further. "The industry has been facing a number of headwinds, which appear to have a dampening effect on IT-BPM investments during the first half of 2017," Untal stated. During the first 10 months of this year, IT-BPO's registration of projects at the Philippine Economic Zone Authority (Peza) dropped by 8.4 percent to P15.73 billion, as compared to last year's P14.4 billion. Untal added that "sustaining an attractive business environment through industry and government partnership is critical in overcoming industry challenges". The IBPAP CEO stated that the sector has been set back to "infancy period" due to the technological advancements driven by digital transformation and disruption. "The IT-BPM industry continues to be a sunrise industry. There is much to be done on the horizon not only for our industry, but other sectors as well, to nurture the economic growth of the nation," Untal stated. In addition, Untal stated that the IT-BPM industry, has taken a vital role in the creation of jobs, expanding the middle class and helped alleviate poverty. Two years ago, IT-BPM sector's employment reached 1.2 million and amassed a revenue of $22 billion. "These incentives have also helped various IT-BPM subsectors grow, allowing for more diverse services and job opportunities for the Filipino people," Untal stated. Coefficients Co. Ltd, understands the struggles of the employees in today's economy so they have various incentive programs to reward their staff's efforts, allowing them to increase their take home pay. Untal also added that "this has been proven over the past decade, where transformation of cities throughout the country into IT parks and IT-BPM hubs have improved the quality of life for entire communities, allowing them to earn more, spend more and remain in the country to raise their families". 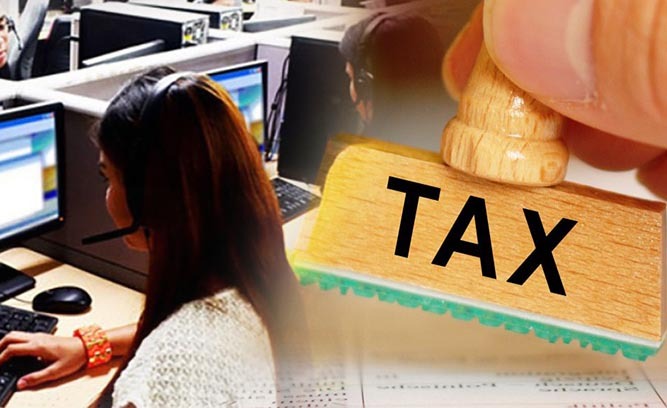 Untal restated the need to retain the tax perks for the IT-BPM sector for the country to be more competitive and desirable global investment hub for investors, especially those who are in the IT-BPM niche.